Revelstoke Mountain Resort and its affiliated companies takes your privacy seriously. 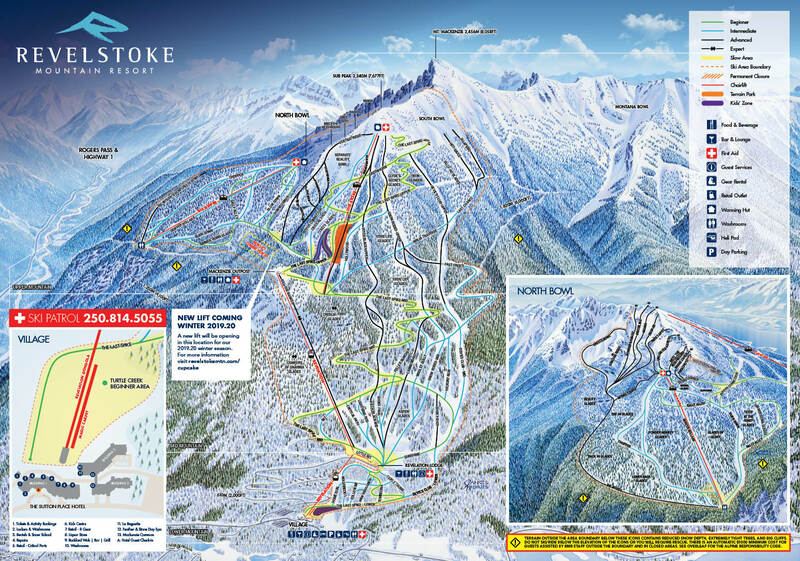 By visiting www.RevelstokeMountainResort.com, you agree to the collection, storage, use and disclosure of your personal information as defined in this policy. Should you not consent to the collection of your personal information, you should not visit this site or provide information at any of our sales locations. We collect and store any information you enter on this site or knowingly provide us in any other way. Personal information is collected in a variety of ways, including, but not limited to: completing an online registration or transaction, filling out an online form or survey, entering a contest, or subscribing to a newsletter. Data collected includes, but is not limited to: your name, email address, mailing address, phone number, date of birth, allergies, dietary restrictions, height, weight, and credit card information. We collect information that is automatically sent to us by your web browser. This information typically includes your IP address, the name and version of your browser and operating system, the page you visited before landing on our site, and the date, time and duration of your visit. The information we receive depends on the privacy settings associated with your browser. To Process Transactions: We use the personal information you provide during an online booking to complete that transaction. This information is not shared with outside parties except to the extent necessary to provide the service. To Improve Our Online Experience: We continually strive to improve our online experience across a multitude of devices. We use information provided by your web browser to troubleshoot technical issues and provide enhancements to our site. To Excel In Customer Service: We take pride in our ability to establish a relationship with our customers. We use your information to communicate with you in a timely manner based on your specific needs and requests. To Personalize Your Experience: Our goal is to provide content that is relevant to your interests. We use information provided by you to deliver customized content, promotions and information that we believe will be beneficial to your experience at our resort. To Send Email Communication: Periodically, we will send marketing emails to those users that subscribe to our mailing lists. If at any time a user would like to unsubscribe from our marketing communication, they may do so using the link provided at the bottom of each email. We may also use your email to send you pertinent information as it relates to your purchase, or respond to any questions or concerns as initiated by yourself. We adopt the industry best practices for data collection, storage and security to ensure the integrity and protection of your personal information. Online transactions are processed within a secure environment over a SSL secured communication channel and are encrypted and protected with digital signatures to safeguard your information. Revelstoke Mountain Resort does not sell, trade or share personal guest information with any external parties. We may share aggregated information pertaining to demographic, geographic, or online behaviour, but this information cannot be linked to a personal account and is subject to a non-disclosure agreement.